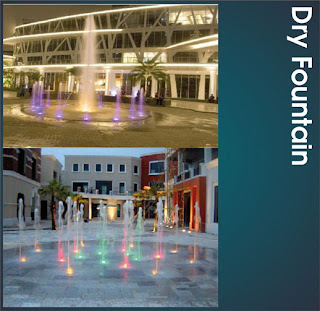 Dry fountain is the latest hype in water decoration technology. Its' growing popularity in Indonesia means many dry fountains can be found in many landmarks and popular locations throughout the country; from Jakarta to Bali, even all the way East to Makassar. It is flexible and beautiful, allowing people to see the samilar captivating effect that musical and dancing fountains offer but with increased flexibility and spatial efficiency, as when the fountain is turned off, people are able to walk through it. 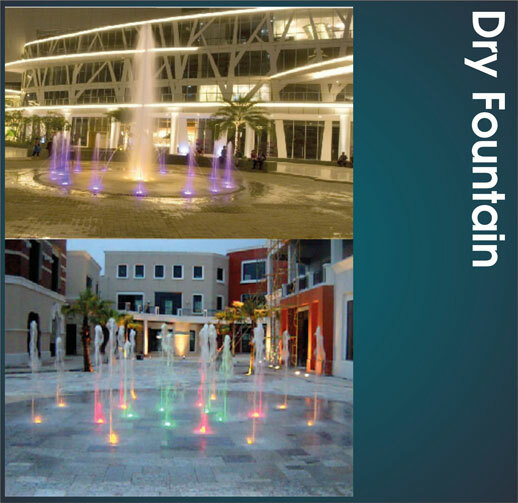 WaterDecor has built iconic dry fountains in many shopping malls in Jakarta: including the musical dry fountain at Central Park's Tribeca Square, BSD Square's dry fountain, as well as at Summarecon Mall Kelapa Gading.